I'm Climbing Harney Peak This Week On September 3. Wish I Were Climbing "Hinhan Kaga" Instead. but its name is smeared with a bloody, brutal memory that needs to be removed. 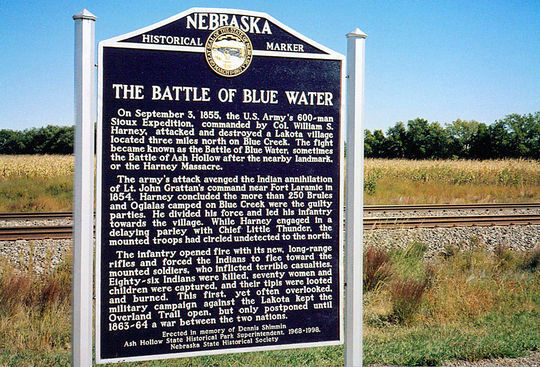 Here's what the mountain's namesake, U.S. Army Colonel (later General) William S. Harney did on September 3, 1855 at nearby Blue Water, Nebraska (from the Nebraska State Historical Society website): "On September 3, 1855, the U.S. Army's 600-man Sioux Expedition, commanded by Col. William S. Harney, attacked and destroyed a Lakota village located three miles north on Blue Creek . . . The infantry opened fire with its new, long-range rifles and forced the Indians to flee toward the mounted soldiers (who had circled undetected to the north), who inflicted terrible casualties. Eighty-six Indians were killed, seventy women and children were captured, and their tipis were looted and burned." The site also notes that the double-dealing Harney bought time for his cavalry to block the Indian escape "while engaged in a delaying parley with Chief Little Thunder." Good grief. Harney was engaged in negotiations with Little Thunder even as he was prepping his troops for a massacre? 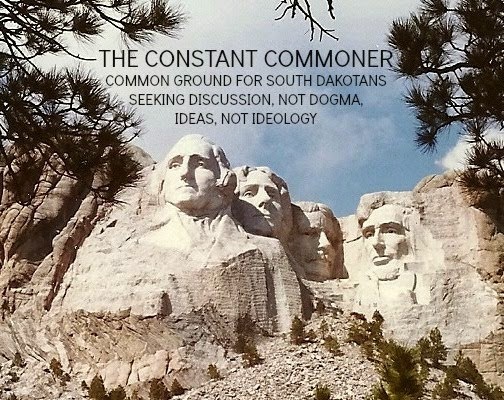 How can we honor this conniving coward by continuing to attach his name to the most significant peak in the Black Hills? My gosh. We often berate the Japanese for giving false signals of detente in Washington, D.C., while their military and political leaders were preparing their attack on Pearl Harbor in 1941, but we locals have no compunction about honoring one of our own for having done the same thing to those unprepared Lakota at Blue Creek. "Harney Peak" has got to go. change the mountain's name to "Hinhan Kaga" (Lakota for "making of owls") have gotten nowhere. It's time to redouble the effort. I see that President Obama recently signed off on a name change for Alaska's Mt. McKinley, which will henceforth be known as "Denali" in accordance with local native tradition. Seems to me a similar effort with the same results can take place here. As to William S. Harney himself, he and his deeds belong in our History books, not on one of the most beautiful mountains in the United States. Anybody who tries to go with the "situational ethics" dodge that what he did at Blue Creek was in accordance with the moral and ethical standards of his time can go jump in Sylvan Lake, at the base of the mountain. There is no moral code whatsoever that justifies that or similar massacres that occurred during the wrenching away of the American west from its Indian occupants. We co-descendants of those days have to make the most of our shared History, including in our common heritage a mutual acceptance of facts that sometimes merit revulsion. I'll be climbing that mountain Thursday, 160 years to the day after the events at Blue Creek, but I'll do it with a sense of awe and wonder at the surroundings--and a sense of disgust that it bears the name of a mass murderer. Forum and Press Club luncheon (kudos to Bill Walsh and Steve Wesolick for organizing this most worthwhile venue). He gave a generally positive impression of himself. The Q & A format was staged in Allender's favor, considering that Steve Wesolick--who announced beforehand that he'd supported Allender during last Spring's campaign--was reading a list of prepared questions that didn't put Allender on much of a spot. Most of the questions were about leadership style and philosophy. No knock on Wesolick--it's his forum, after all, and he's well within bounds in structuring it the way he wants to. Just the same, it did deny the attendees, numbering around 100, a chance to see Allender get up there on his own, a hundred pairs of eyes bearing down on him, and make an uninterrupted pitch for himself and his administration's specific goals and plans. When Mayor Allender did get a chance to address specifics he didn't offer much. I asked him about any plans or initiatives he had to restore Rapid City's manufacturing base to its pre-2008 recession levels. During the campaign he'd made much of the fact that there was little if any rebound in manufacturing during the two-term tenure of incumbent Sam Kooiker, implying that he, Allender, had some ideas to engineer a turnaround. I was curious as to what they were, but all I and the audience got was a promise to put together a solid economic-development team that would address the issue. I don't think I missed anything, but if Allender wants to expand on his agenda with some specifics, he's welcome to do so here. the city's business is a mystery. I think I've got this right, but most certainly invite correction if I'm misinterpreting Allender's narrative. Apparently a satirical and highly critical piece about the mayor appeared in NSN shortly after his decision to pull the ads, which caused Allender to complain to the editor, who responded that NSN writers are generally left alone to write as they see fit. End of story, I would think, but Allender's unsolicited recitation of it seemed unnecessary and potentially provocative. Allender did add that the $40k/yr budgeted for NSN is money he wants to use to hire a tribal relations specialist in the city's administration. Allender also fielded questions related to economic development, generally, and made the same pitch that he'd made in his campaign: Rapid City needs to work at being an attractive center for developers and entrepreneurs. According to the mayor, nearby areas like Summerset, Rapid Valley, and Box Elder present more favorable climates for business development and expansion than Rapid City does. He plans to put together a team of economic development experts to deal with the situation, I look forward to the creation of such a board and eagerly await the list of specifics that emerge from its deliberations on how to improve the business climate in Rapid City. Expecting those specifics to come directly from the mayor at this early stage of his tenure is unrealistic. It's wait-and-see time. My general sense is that Allender will be a competent manager, though the spark of leadership isn't discernible yet. As with everything else about his administration, we'll see if circumstances will ignite it. A "President Trump" Would Be A Disaster For South Dakota. Just A Complete Freakin' Disaster. President. Looking over an itemized account of his "platform" in the Washington Post the other day, you'd have to wonder where this genius comes up with some of these ideas. The first one that South Dakotans should take a hard look at is the notion that he'd slap a "25% tariff on all goods imported from China if China wouldn't stop unfair trade practices." I wonder if that blustering cowboy thinks through the implications of an idiotic notion like that. Does Trump think China would just roll over and submit to his bombastic insanity? 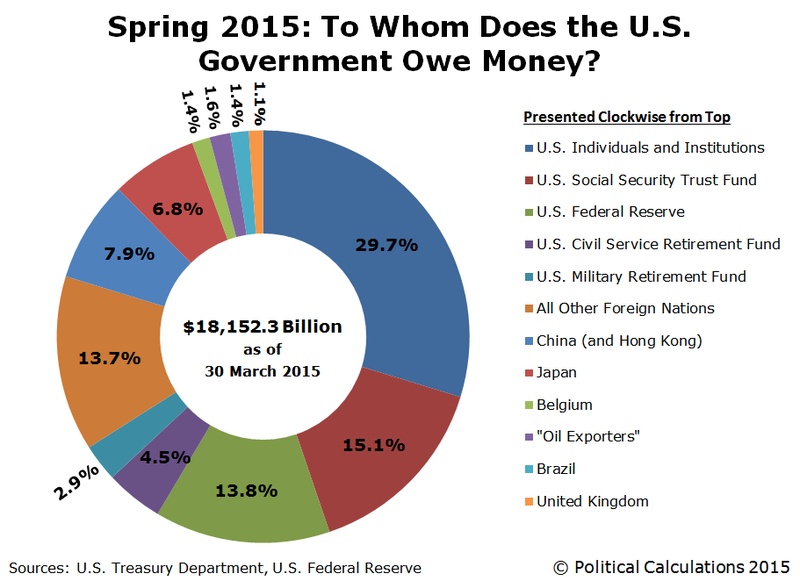 First of all, China owns about 8% of America's outstanding debt, which amounts to $1.3 trillion (the Chinese share). I can't think of anybody who's particularly happy or even comfortable with that situation, but that's the way it is. Peremptorily slapping the People's Republic with a punishing tariff before going through the adjudicating processes created by various tariff agreements and trade deals is a pretty ham-handed way of dealing with this issue, and all it would do is invite a retaliatory response from the Chinese. That they might not be so sanguine about rolling over American debt is one consideration. Another is a reflexively hostile response toward goods they buy from the United States. largest industry, with exports accounting for a very big share of that industry's revenues. And just who do you suppose is South Dakota agriculture's largest export market in recent years? Yup, China. In fact, the generally warming trade relations with China since 2003 have resulted in a gain of 453% (as of 2012) in South Dakota ag exports to that country vs. a gain of 121% to the rest of the world, combined. To give it some perspective, a third of South Dakota's soybeans are sold to China. South Dakotans need to think twice before embracing Trump and his bombastically thoughtless plans. Trump's frustration with China's problematic trade practices are understandable enough, but from a South Dakota perspective, his remedy is full of it. It's Okay To Hate Jews. Martin Luther Says So. UCLA way back another eon ago was that Luther had some very kooky ideas. That hasn't stopped the "anti-payday lenders" cabal in this state, working hard to get the industry crushed via an initiative that would effectively wipe out payday lending by capping interest rates at 36%, from citing Luther as their theological wellspring for getting South Dakota's church communities behind their effort to shut down the industry. This is weird and intellectually dishonest. Seems to me that if Luther's relentless rants about how society should be run are the basis for a civil moral code, then those who use him as their theological front man should heed the rest of his rigid rules of conduct and beliefs. Picking and choosing the ones that coincide with their attempts at running society according to their own moral precepts is just plain disingenuous. I've been going through a dog-eared old volume (# 46 to be exact, titled "The Christian In Society") of Luther's Works, published in 1967 by Fortress Press, that I read as a young man along with other volumes in that extensive and exhaustive collection. First off, motivational giant that he was, Martin Luther nevertheless counseled his followers that their Christian duty forbade them from entering the secular fray. From page 31 of the above-referenced tome, Luther wrote in his essay "Admonition to Peace": "For no matter how right you are, it is not right for a Christian to appeal to law, or to fight, but rather to suffer wrong and endure evil; and there is no other way." Fighting payday lending may well be one of the worthier endeavors in our community these days, but I'm pretty sure Martin Luther himself would have been aghast at the effort being spurred on by the religiously self-righteous. to action" on their facebook page, based as it is on Luther's writings about usury, completely contradicts Luther's "Admonition to Peace." 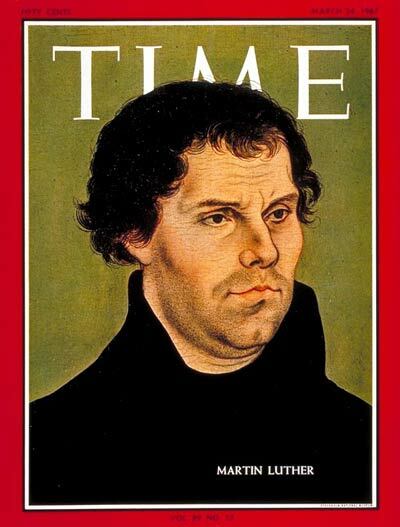 It also raises the scary prospect that some of Luther's other ideas could be the basis for other "calls to action" within our state's ecclesiastical network. For example, Luther's well-known contempt for homosexual behavior could just as easily be used as the basis for a church-wide call to action. And then there's Luther's relentless hatred of Jews, "a brood of vipers," as he calls them in his book "The Jews And Their Lies." Are we to join in with his anti-Semitic vitriol because he, Martin Luther, thinks it's okay? Are we to disdain Jews, homosexuals, payday lenders and a panoply of others (read what he has to say about Turks) because Martin Luther says so? This business of bringing Luther and his works into the payday lending debate is a transparent ploy to take the argument out of the secular realm where it belongs and into the polemical spheres of influence within our churches. I hope churchgoers can see through this attempt at using their faith as a force to create a society based on the visions of a few self-righteous busybodies who expect us to live the way they want us to. More power to a debate on the merits and demerits of payday lending, but fie on the effort to bring the Christian community's considerable resources into the shouting match. Those piety-pushers swayed by his writings should remember that Luther understood the Christian's challenge to endure, not fight. "There is no other way," said he. Memo To Paula Hawks: Lose The Partisan Chest-Thumping. You Need Us Republicans. SD's U.S. House seat next year probably invigorated a few Democrats but reflexively put off a lot of Republicans, whose votes she'll need in this GOP-dominated state next year. The header ("Hawks: Proud To Be A Democrat") was okay, but the lead vignette about her switchover as a young woman from the GOP party of her parents to her current registration as a Democrat because politically affiliating with her mom and dad got her to start thinking about "what kind of message that sent about me" seems gratuitously defensive. It makes her metamorphosis sound like an act of post-adolescent defiance. Most parents probably welcome the emergence of strong identities in their children, but being told that their political party affiliations send a message that their offspring shun is kind of cold. Hawks' vision on how to advance her plans with regard to these and other issues, but so far her only real argument for voters not to re-elect Noem, per the RCJ piece, is that Noem has missed all of 3% of 3300 roll call votes since she's been our U.S. Rep. Readers here know that I don't care much for Kristi as our Rep, but really, if this is the best that Hawks can do coming out of the gate with her first real interview in one of the state's largest papers, her campaign is in big trouble. Heck, as an employer of many years, I'd regard a 97% attendance rate at my business as pretty darn good and nowhere nearly enough of a reason to consider replacing an employee with a track record like that. The RCJ piece does a good job of profiling Hawks, but I wish some questions about funding the Dem's campaign had emerged. Republican Noem has about a million bucks on hand with more than a year to go before the election. How Hawks, whose campaign is in the stage of "getting out and meeting folks and making sure they can put a face to the name," can run a serious campaign going up against the political equivalent of Fort Knox is a daunting challenge that I doubt she'll rise up to, especially with her GOP-alienating entree into a race which she can only win by persuading a lot of Republicans to support her. Face It. We Have To Start Paying Up For Teachers. Markets? What Do They Know? Dakota's teacher shortage as part of a national trend that can't be resolved by raising teacher salaries in this state? Probably the most visible and influential purveyor of this misinformed view of how markets work is Republican Lana Greenfield, who represents District 2 in the South Dakota state legislature. Referring to our state's shortage of teachers, Greenfield last year told the Watertown Public Opinion that "higher pay for teachers isn't necessarily the answer because states with higher pay also have a shortage." She goes on to say that South Dakota needs to promote its assets as a great place to raise a family in our quest to compete against other states for teachers. That last part is pretty tough to take seriously--if it isn't laughable altogether--because of its ego-centric assumption that our surrounding states compare unfavorably to South Dakota when it comes to lifestyle advantages. South Dakota has a lot of great things going for it, but that hasn't made us much of a magnet for people who can accept some of the lowest wages in the country in exchange for "clean air and healthy living," as Greenfield put it. More to the point, Greenfield can't possibly quantify the market value of our great lifestyle as a complement to the lowest teacher pay in the country. The whole idea is just plain absurd. More troubling is the idea that just because there's a national teacher shortage, South Dakota shouldn't make every effort to raise wages to competitive levels. As Greenfield put it last week in her comments to a recent KELO-TV story on the subject, "we cannot attract people who do not exist." She was retorting to some comments made on the KELO site by my good friend Cory Heidelberger, whose Dakota Free Press remains the best political blog in South Dakota. Greenfield's exasperation about how to deal with the matter is understandable, but she misses the point about how South Dakota must respond to a marketplace that has suddenly put a premium on the shrinking supply of teachers. By refusing to jump into the fray of bidding higher for a shortage of teachers, as Greenfield would have it, South Dakota is effectively abandoning that market altogether. Greenfield's constituents in the farm commodity-driven economy of the district she represents understand what it means to be forced to bid higher in a bull market when short supplies are much in demand. Could We Be Any More Self-Delusional? would be a disaster because what is now a shortage could evolve into the equivalent of a famine. South Dakota cannot simply walk away from this market under the delusion that its lifestyle is enough to attract quality teachers. Not to denigrate teachers by calling them a commodity, but to give an example of how market reality can bite, General Mills and other food processors can't stop buying wheat at premium prices during a bad crop year unless they want to go out of business altogether. We're in the same boat in SD. We just have to accept the reality of the market and pay up. I did this in real life for twenty years, both in the trading pits in Chicago and as a broker out here. Believe me, it's no fun when markets get away from you on the upside and you have to pay more than you'd like--but that's just the way it is. Meantime, there is a significant advantage built into "the way it is." If the laws of supply and demand apply to the teacher supply situation, and there's no reason to believe they won't, higher wages will likely result in more people entering the profession in the first place, increasing the pool of qualified teachers and doing much to alleviate this all too obvious shortage we're struggling with. We can pretend our lifestyle advantages will make up the difference when our salaries are woefully uncompetitive, or we can face facts.